World Prayer | Flickr - Photo Sharing! 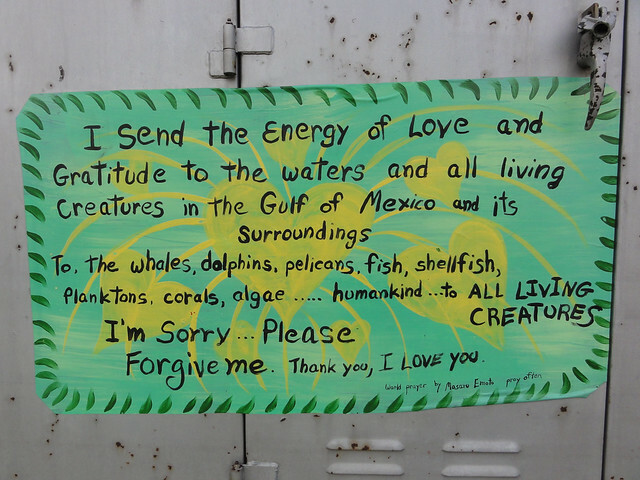 I send the energy of love and gratitude to the waters and all living creatures in the Gulf of Mexico and its surroundings. To the whales, dolphins, pelicans, fish, shellfish, planktons, corals, algae ... humankind ... to all living creatures. I'm sorry.... Please forgive me. lisaamulvey, Edward Melendez, and 1 other people added this photo to their favorites.